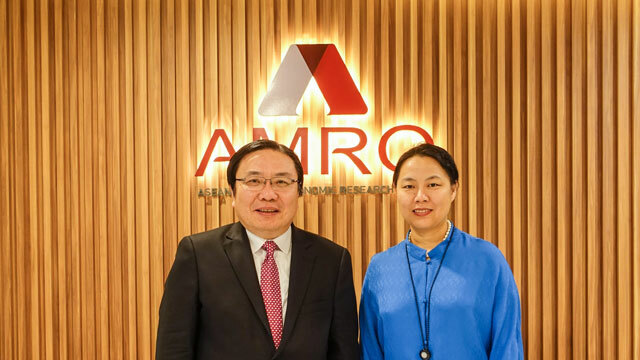 AMRO Director Dr. Chang Junhong met with Vice President of the Asian Development Bank (ADB) Dr. Zhang Wencai at AMRO office on November 17, 2016. At the meeting, Dr. Chang briefed Dr. Zhang on AMRO’s developments and operations in the past few years. They also discussed the cooperation between the two organizations.